US EVANGELIST, Billy Graham, has died aged 99. He preached the gospel of Jesus Christ to about 210 million people in 60 years, beginning in London in 1954. True ambassadors of God are not called to preach materialism; they simply preach the gospel of Jesus Christ to populate the kingdom of God. Jesus Christ is the One who appoints all genuine servants of God. “You did not choose me, but I chose you and appointed you that you should go and bear fruit and that your fruit should abide…” (John 15: 16, ESV). Now, are all apostles, prophets, evangelists, shepherds/bishops and teachers of today appointed by Christ Jesus? And are we all sincerely preaching the gospel? Well, many are, but others are not. Truth is that the Lord knows those who are His. And those who belong to God are told in their hearts by the Spirit of God (Romans 8: 16). Those who are Christ's do the will of God, and are known by their fruit. 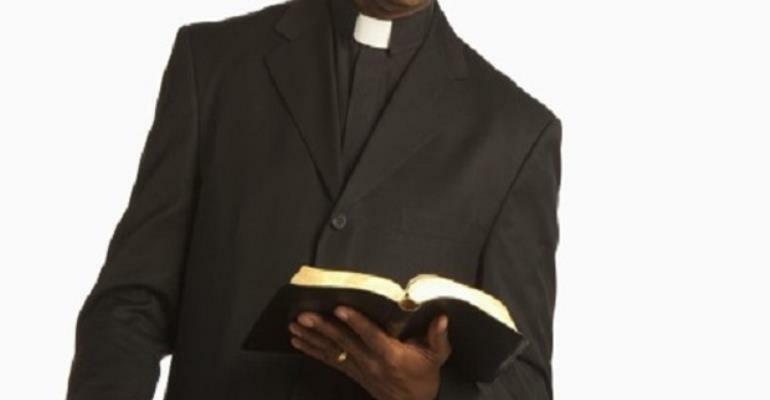 However, Apostle Christian Titi Coompson, the head Pastor of Christian Educational Forum International (CEFI), a Teaching and Networking Ministry, in Kumasi, is convinced that there are many charlatans who have sneaked into the Body of Christ. They misrepresent Christ and dent Christianity as if the Lord is not real. But Christ Jesus is real. He died and was buried, and He was raised from the dead on the third day and lives forevermore. Thousands of people have had supernatural encounters with Jesus Christ in their lives thereby confirming His existence and reality. This often happens through the preaching and hearing of the gospel of salvation. Apostle Coompson said in a recent conversation that Jesus Christ lives, that is why Christians are being prepared to conform to His glorious image. If believers today seem to have no relationship with Jesus, if people do not grow up spiritually, if believers are materialistic and greedy, and if there is any problem in our churches, men of God are the cause. In the opinion of Apostle Coompson, a person who calls himself a teacher of the Word of God proves himself by what he teaches his congregation which reflects in their lives. What sort of life are we living today as Ghanaians? How many Christians do we have in Ghana? We say there is corruption in the country, but then who are those involved in the corrupt acts? Are Christians not involved? The man of God quizzed. “We are supposed to be the light of the world. But how many of us truly shine as the light of the world to glorify God?” he further asked. A pastor who is truly the light of the world will most likely have followers like him. But when a blind pastor leads a blind Christian both of them shall fall into a pit. God does not fail, but man may fail. Does it not seem that many pastors in our generation are failing? As each one of us will be required to give account of our stewardship, Apostle Coompson urged all servants of Christ “to make sure that all Christians are heaven-bound. What I have learnt and known is that when you do not go to heaven you have lost the greatest opportunity. Through Jesus Christ, the gateway to heaven has been opened. Without Him we can do nothing” he asserted. However, many ministers seem to be falling and failing. Apostle Coompson blamed the situation on how ministers of the gospel are made these days. They are not called by God. People just go to the Bible schools or seminaries and come out as a formality. “For example, I went to POJOSS, a seminary when I had not even been born again. I became born again years later at a Full Gospel Businessmen Fellowship (FGBF) meeting before later the Lord called me into ministry,” he said. It is high time ministers of God went back to the Bible and preached the gospel so people would know the Lord. Meanwhile, the House of Faith Ministries, a World Missions Church headed by Apostle Alfred Nyamekye has declared 2018 as the year of “Going Back to the Bible.” At the opening ceremony of its 2018 Father's Voice conference, a special programme organised in February annually for Apostle Nyamekye to speak into the lives of ministers and churches under him, the man of God expressed worry over how many pastors have gone astray. He called on straying pastors to repent of their sins, return to the Bible, preach and teach the pure Word of Christ so that people may know the God of the Bible for themselves. The God of the Bible, he revealed, creates, commands, controls, blesses, completes, cares speaks and above all cautions His people to observe His laws, commandments, precepts and statutes. This author has authored 55 publications on Modern Ghana.